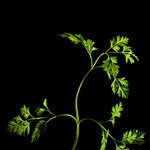 With its delicate, graceful, carrot-like leaves, chervil is the darling granny of the plant world. Growing chervil is like growing light green lace. 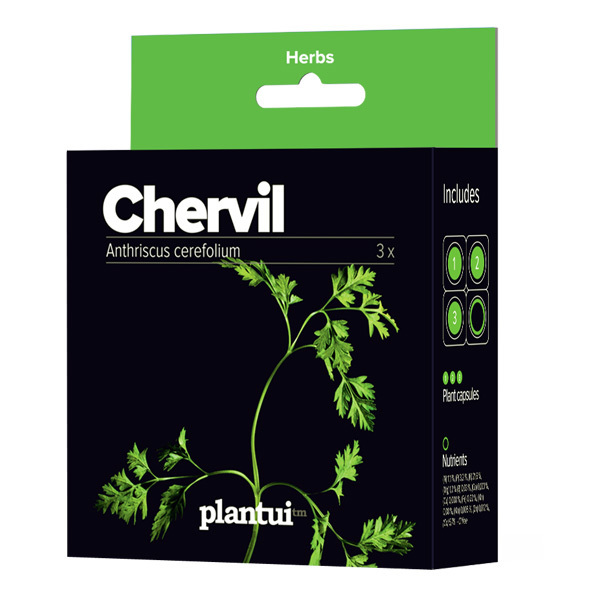 Found as a wild plant in the Near East, Caucasus and eastern parts of Russia, chervil is also widely cultivated as a kitchen spice. 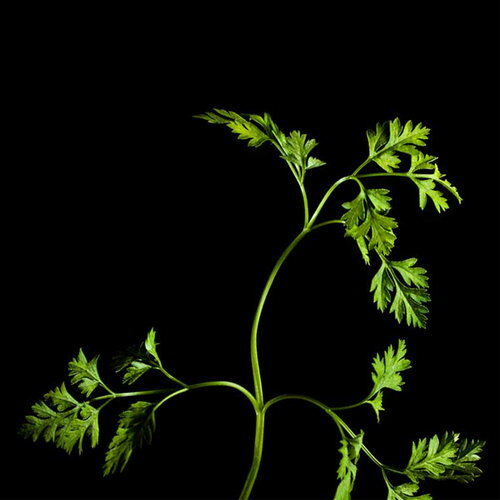 The Romans used to call chervil an ‘herb of joy’, maybe referring to the joy you get from its nice fragrance. In traditional medicine chervil has been used to stimulate, to soothe an upset stomach or as a pick-me-up. 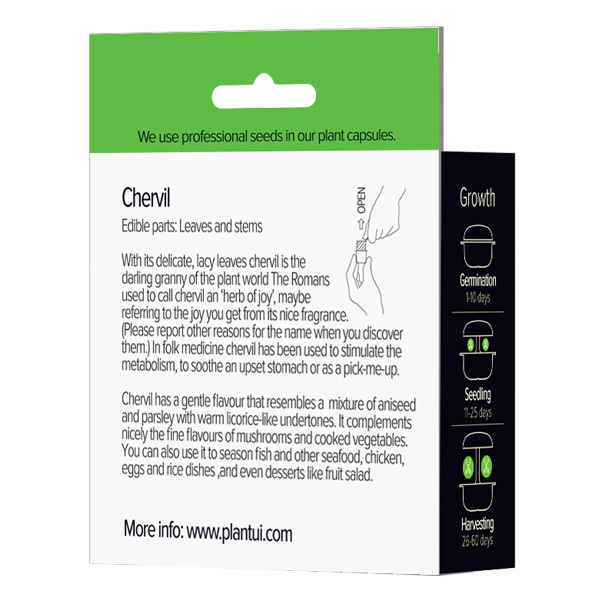 Chervil has a gentle flavour that resembles a mixture of aniseed and parsley with warm licorice-like undertones. The sophisticated aroma loses potency if you cook or fry chervil for a lengthy time, so add it to your food at the last minute. It’s an essential part of the French ‘fines herbes’ mixture together with parsley, chives and tarragon. Chervil complements nicely the fine flavours of mushrooms and cooked vegetables, especially new potatoes and asparagus. You can also use it to season fish and other seafood, chicken, and eggs and rice dishes. Thanks to its subtle taste, you could try using chervil to garnish desserts like fruit salads or compotes.